How do you measure the passing of days, weeks and years? 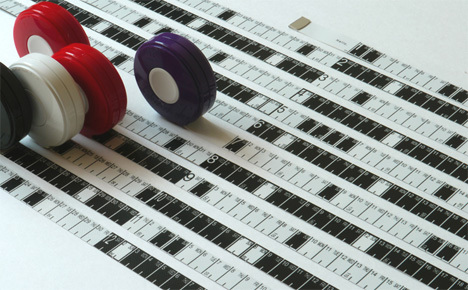 Do you cross the little squares off on a wall calendar? Maybe tear off one more sheet of your daily calendar every evening before bed? 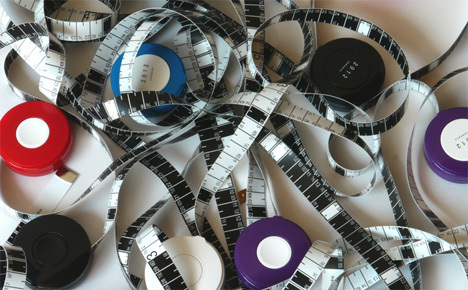 Believe it or not, the mess of measuring tapes above represent a thoroughly novel way to measure the passage of time. 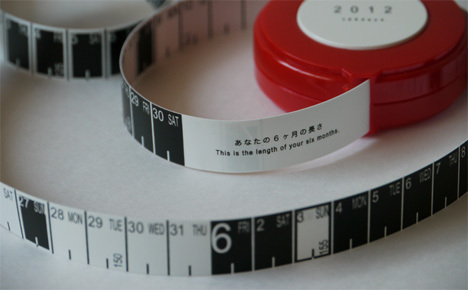 Hiroyuki Miyake’s Measure Calendar is a clever play on both traditional calendars and classic tape measures. The tape coiled inside the plastic housing is pulled out day by day, revealing more and more of the markings that represent passing days. 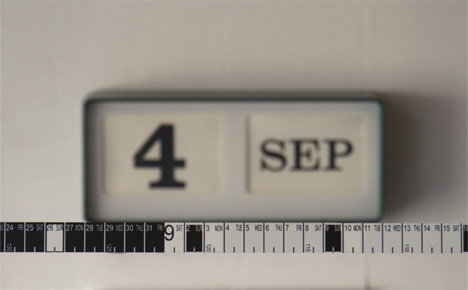 One side of the tape represents January to June while the other side has markings for the dates from July to December. Smaller numbers tell you how many days remain until the end of the year. If you like, you can compare the revealed markings to physical objects. How much longer is your little black book than those two weeks you spent mourning after a break-up? Measuring the inches rather than the days until a vacation might just help to make the wait seem less traumatic.